READ ME! Before asking "Is my car rare/Desirable?" Re: READ ME! Before asking "Is my car rare/Desirable?" A couple of websites would disagree with the fact that the car is not desirable. Camarosource.com for one. They have a black 1C5 Camaro featured in their Specialty Camaros section. I rarely if ever talk to anyone who has even heard of the car because it is so rare. 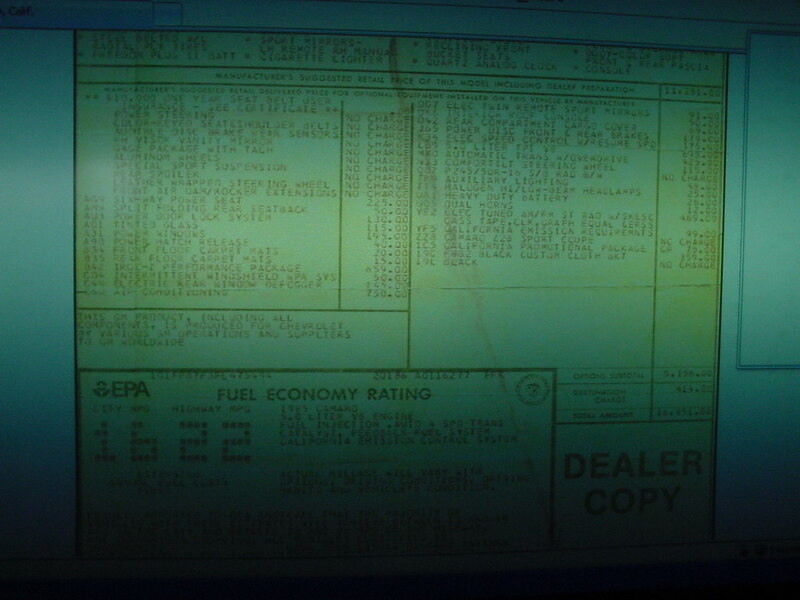 If you go to the History and Restoration section, you'll see the RPO codes that are in the console of the car as well as some pictures of the car itself. I posted the car in attempts to decipher the RPO code Z5V, which is still a mystery. Apparently okfoz has never heard of the 1C5 Camaro either, or it would most likely be listed here as it is on other Camaro websites. Last edited by yo soy el warg; 01-17-2009 at 04:36 PM. okfoz has heard of it. I looked up some threads about the California IROC-Zs and he provided some information in at least one of the threads. It seems like it's just a special grouping of already existing options and primarily it replaced higher model parts with their base counterparts or removed items altogether. I think that removing existing parts rather than adding unique parts does negatively impact the desirability of the cars for many enthusiasts. I'm not trying to insult the cars because they do have a unique clean look that undoubtedly appeals to some, but to many others it appears to just have less content than an average IROC-Z would. A lot of people like the sleeper look. And with the GU6 I bet your IROC surprised a lot of mustang owners of the day. I've read there were 400 red and 100 black california IROC'S made in 1985. Thanks for acknowledging the "California IROC-Zs" on your list of rare and desirable third generation Camaros. The purpose of the California IROC-Z was to build a car that looked more like a "Plain Jane" standard sport coupe on the outside, yet had the hidden high performance and suspension of the IROC-Z coupe. This "Wolf in Sheep's Clothing" seemed to be something that was desired in California at this time. I also wanted to ask about the 205 (1985) Camaro IROC-Z LB9/A4/G92 listed. The California IROC-Zs must not be included in this 205 number since they all came with the performance 3.42 axle ratio, but listed it as the GU6 and not G92 in its RPO codes since it was part of the California IROC-Z package. This is how the performance axle is listed on mine. I'm also still very curious about the only RPO on this car I haven't been able to find, which is Z5V. I would also like to say that your list is now the most comprehensive and complete one that I've seen! Last edited by yo soy el warg; 01-19-2009 at 06:09 PM. Did ALL CA IROC-Z's get the LB9/A4/3.42? OK, It clearly shows 1C5 California Promotional Package $75.00 on the window sitcker... So the Z5V is still a mystery... Maybe the Axle??? From your message you have the 3.42 code but you do NOT have the G92 RPO in the SPID? I do not have the G92 RPO code on my SPID or my window sticker. However, I do have GU6, another RPO code for 3.42 gears, on my SPID. There's a picture of my SPID and some pictures of the car on thirdgen, they're in the History/Restoration section, search using keywords: "RPO code Z5V 1985 1C5"
I tried to link directly to the thread but it wasn't working for some reason. I'm familiar with Dave Sauro's black California IROC-Z, I've talked to him before regarding the car. His is the only black California IROC-Z I've ever seen or even heard of. Mine is red and I've only seen one other red one. Neither cars list GU6 OR G92 on their window stickers, but both had 3.42 gears stock, though I'm not sure if Dave's had GU6 on the SPID since he's never posted a picture of it (that I know of). According to the Camaro White Book, in 1985 G92 was not an available option for Z28 or IROC-Zs, though the picture of Len Williamson's book shows 205 G92-optioned cars were built. Either one could be wrong. This leads me to believe that the 3.42 gears only came as special packages, and were usually labeled as GU6. I think that there may be a possibility that Len Williamson could have made an error in writing his book. Could it be that Z5V actually indicates some special axle, and only 502 were built, but Williamson accidentally switched the two numbers and wrote it as 205 G92-optioned cars? I pose this idea because as far as I've ever heard there were 502 California IROC-Zs ever built. And I've only ever heard of Z5V being on the California IROC-Z SPID. Nobody else has ever heard of the RPO, to my knowledge. Something to investigate would be Dave Sauro's California IROC-Z; if his car has Z5V, then this would increase chances of the theory being correct. My car doesn't have posi, and it's also interesting that Dave Sauro's car doesn't have posi either. Could there be a reason for this? I had the rear end opened and inspected once and the person who was working on it said that the gears looked as though they may not be stock. He said they looked like "shaved" gears, or something "square-cut". Something apparently used in race car axles, which I'm not familiar with. I told him the rear end was stock, and had not been altered. Could this be the Z5V code, something to do with the ring and pinion being cut differently as well as not being a posi rear end? Last edited by yo soy el warg; 01-21-2009 at 12:07 AM. The code on the axle housing is 9PE. I wonder why GM would go from the 8 series for all their axles and then go to a 9 series. Some sites don't even list the 9PE code. Does anyone have any idea why the California IROC-Z would have this different (9PE) rear end? Usually when they change from one number to another it indicates a major difference. Last edited by yo soy el warg; 01-21-2009 at 10:48 PM. I have never been able to figure out what the differences was and any rhyme or reason to the 3 digit codes on the axles. One thing I do know is that the 3.42 was a 10 bolt Saginaw and the 3.45 was a 9 Bolt Australia B&W. I find it interesting that you have the 10 Bolt. My 1C5 also has the GU6 & Z5V on the spid. G92 indicated, as John previously stated, performance axle (3.42:1), rear disc, and POSI. Since we do not have Posi, no G92. Our rear disc's are referenced as J65 on the spid, and window sticker. Correct me if I'm wrong, but I believe the only BW 9 bolt rearends were in the Pontiac's in the model year 1985. Not sure what year they went to the B&W in the Camaro vs Firebird... I always assumed it was the same year, BUT I know some things Chevy did get options a year later than the Firebird when introduced... 16" Wheels, The Door bumper stips changed on the Firebird in 1987, but in 1988 for Camaros... It may be as you state. Might be able to figure it out from there. Hello Dave, I've talked to you before about our 1C5 IROC-Zs. I'm still wondering what the RPO Z5V might be on our cars. I've only seen this on the (1C5) SPID. I found out in the Camaro White Book that you had to order (G80) to get the (J65) until April of 1985. After that date you could get the (J65) without the (G80) being ordered. The White Book doesn't list any (G92) being made in 1985. It could be wrong. My car was built in May. I wonder why it changed if your car was built after april? I also found another member with a (1C5) in the California Regional Section of this site who was a first time contributor. He has found a magazine article in 1985 on the (1C5). I'm trying to get a copy from him. I also asked to see a copy of his SPID. I contacted Mike Antonick who writes the Camaro White Book and he hadn't heard about the (1C5) California IROC-Z so I sent him documentation of its existance. He replied that he was gratefull for the info and that it would be included in the new book when the 2010 Camaros come out. I also sent an email requesting a copy of that article, but didn't get a response from him. If you get lucky let me know. Actually there was 205 G92 Camaro's made in 1985. I have a seperate article that someone was kind enough to send me with all of the RPO's production figures... It has more than the White Book. Your right, I've seen that 205 number for (G92) in Len Williamson's book for 1985 Camaros. I wonder who is right? Although, it seems like a low number if you look at 1986 which had 4703 (G92) this amount is the same number in Williamson's book and in the White Book for 1986. We should look into this further. Hard to say, there could have been a mistake in the dealer order sheet that created the gap. Do you know how many 1988 Formula verts w/LB9 auto there were? If it has the WS6 16" wheel package i wonder if it would be a G92? Somewhere between 4 and 104. 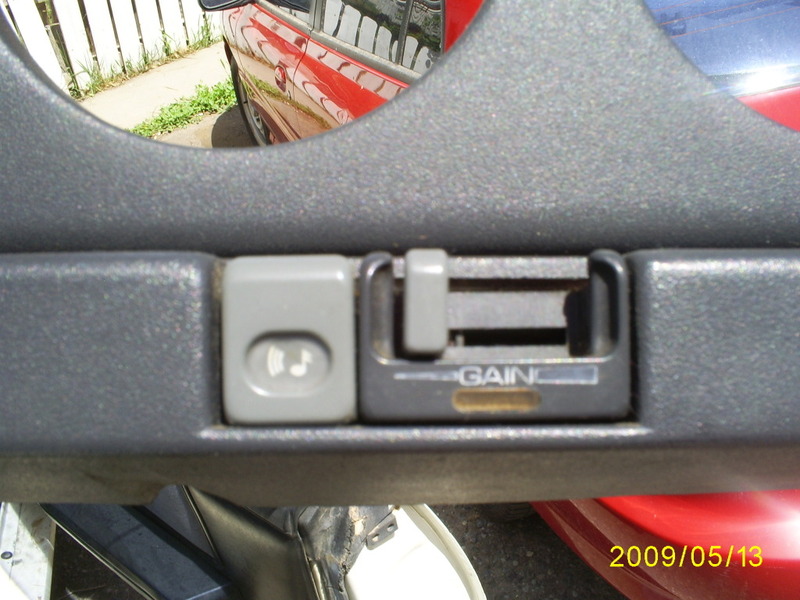 For the Pontiac the LB9/A4 cars after 1986 I think were all Peg Leg. It would have the peanut cam and should have the 2.73 or 2.77 gear. If it was a LB9/M5 then it would have the 3.45 gear, as all of those got the "G92" Equipment, even though it was not listed on the SPID. AFAIK Pontiac did not use the RPO "G92" after 1986 except on the 1LE cars of 1988+, they may have used the G92 RPO on the Players cars however from 1986 + without the 1LE. The LB9 Formula convertible is one of the more rare cars. It would not be a bad deal. If you really like the car then go for it. If your buying it to collect I would personally look for an 89 L98 Formula or GTA Vert as they all would have the 3.27 gear. I know of the car you are asking about and it looks like a REALLY nice car. I AM NOT AN APPRAISER, but from what I can tell the asking price is about fair, maybe a bit high for the current market, BUT not many people are aware of them right now... As word continues to spread I think they will appreciate quickly, especially the L98 cars AFAIK as they are more desirable as there are only 4 known L98 Camaros out there. The Firebirds that do not have the L98 I would personally price about an equal Camaro with the same options... . The owner isn't getting 14k. That number is negotiable. I have already been told that. I have already been offered a 1991 TA vert w/50+k miles for 8k w/o trying....The market isn't there for that kind of money on most 3rdgens.Youre right, a GTA vert would be worth more in the long run..But,a Formula does have a personality all its own..
Ok i have a 83 Camaro Z-28 LU5 crossfire with functional hood. 305 cid. and 700r4. I didn't see it on the list but i would love to know the value or the desirability of this car. I think he didn't see it on the list because the 82 Camaro Z-28 LU5 is listed twice. The 1983 Camaro Z-28 LU5 should be the 19,485 units listed. Pontiac started using the 9-bolts in '85 but Camaros didn't get them until '87. Visit LFN AT U's homepage! you're not giving away a rare gem. You don't see a ton of those cars any more, but the digital belinetta dash wasn't a particularly low volume option in the years it was offered. There are also only a select few people that prefer the digital dash over the standard analog dash. The Berlinetta is a novelty, I think they are cool, but for the most part I would not think they are super sought after... if it was a Z28 with the same options and the top engine for the year then that would be a different story. The Engine really makes a huge difference to buyers. Basically Power & performance sells better every time. So would a 1986 Iroc Z-28 with lb9 MD8 j65 g92 g80 I brought it down to 4703 but that was as far as i could get it. Been awhile since anyone posted in here, but I just found out, by complete accident actually, that my '91 305 z28 has the 1LE RPO code. I will have to say that while its a nice car, its not rare or valuable. I would side with some on the boards and say if its not on the list that was created above then its just another Camaro. To some of the new guys that posted, the title of the post says "READ ME" for a reason. This post was intended to provide information to you so you can determine if your car is rare or particularly desirable and reduce the number of threads in this forum that ask that exact question. Please don't make it just another place to ask about your car being rare with no real reason to believe it is. Last edited by JeremyNYR; 05-11-2009 at 06:13 AM. To some of the new guys that posted, the title of the post says "READ ME" for a reason. This post was intended to provide information to you so you can determine of your car is rare or particularly desirable and reduce the number of threads in this forum that ask that exact question. Please don't make it just another place to ask about your car being rare with no real reason to believe it is. Unfortunately it is more than likely a run of the mill Camaro. Keep in mind that the RS was the base package starting in 1989... There was no Sport coupe, ultimately all Camaros got the ground FX. What would make your car unique is 1990 was a short production year. No 1990 F-bodies were actually made in 1990, they were all made at the end of 1989. Engine: 305 with almost 2000000 on it!! i have a 1986 t/a 305 700r4, the only thing i seen special about it was that it had the boise music option, how common/ rare might that be? its ruined due to the previous owner but if its not common i might try to put one back in. here is what was in the car when i bought it, you can see the three speakers on the dash and the control i guess by the defroster oh yeah and was a posi rear end standard? Honestly those are reasonably common. The radio option with the Subwoofer control are not "Rare" by any means, I have a car with it, amy neighbor has an 86 with it. I want to think it started in 1985 and went through 1988 for the option for subwoofer.. It is not BOSE tho. BOSE was a Camaro only thing for some reason... I think it goes back to the fact that the Firebird was heavier, than the Camaro and the Bose would have added weight in a Firebird. i see thank you, glad i asked. This is my first visit to the forum. 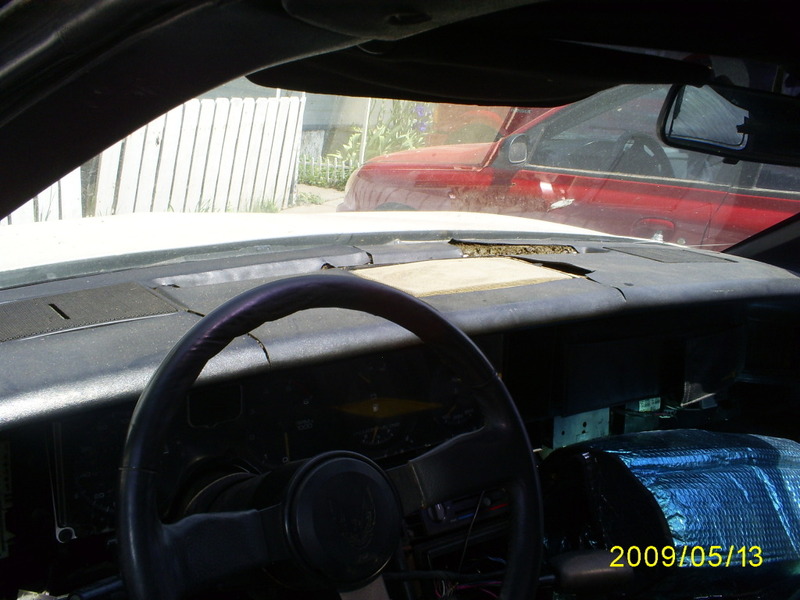 I have some questions about my 1985 Iroc Z28. I'd like to know how many of them were made. If you could recommend some resources that I could check out, I'd appreciate it alot. It really doesn't matter how rare or desirable my car is. I just love the thing, have no intention of parting with it and I'd like to know as much about it as possible. Thanks for any help you could provide. It is probably the easiest source to come by, other than some magazine articles that had the information. Last edited by scottycamaroz28; 07-10-2009 at 07:46 AM. The 1984 Trans Am subwoofer option was an on/off switch without the Gain Control slider which did start in 1985.
but how many with no t-tops and factory no a/c??? I saw the last response date and wonder if you'll reply. I have a 1991 Formula, lexan tops 4 wheel disc and a 350 tpi.... blah blah blah. Where does this rank? Quick Reply: READ ME! Before asking "Is my car rare/Desirable?"